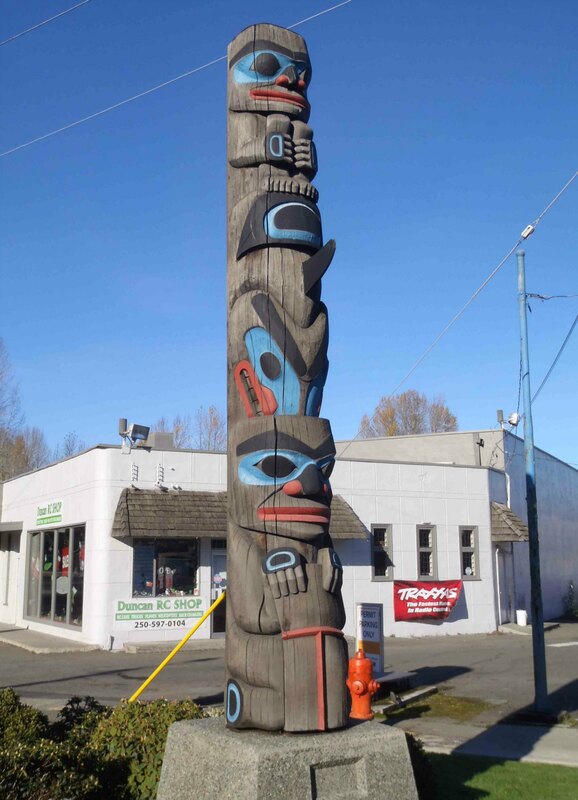 The Chief’s Pole is one of a group of three poles (with The Guardians and Dzunuk’wa) displayed at the intersection of Government Street and Kenneth Street. 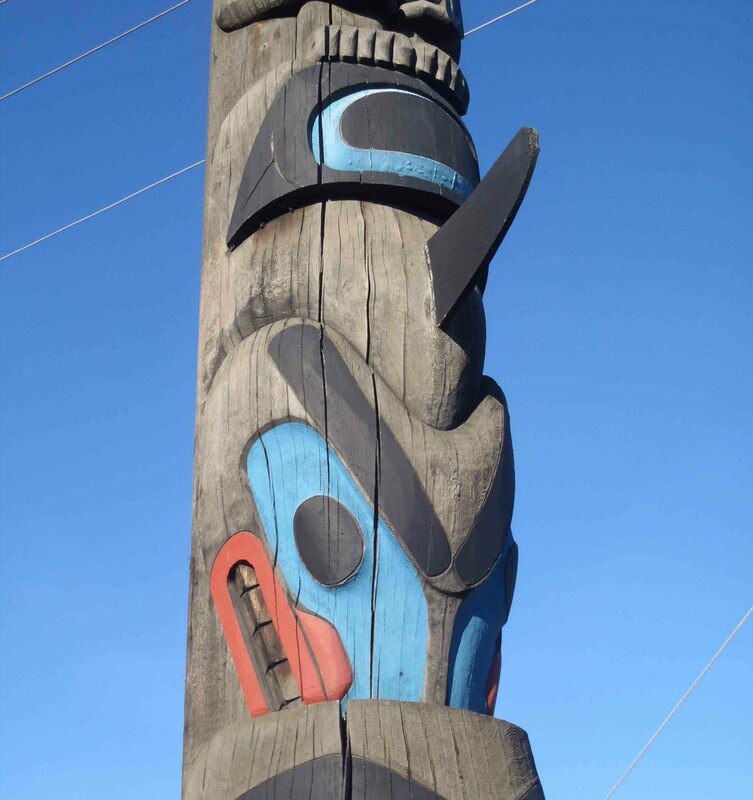 The Chief’s Pole was carved in 1986 by Francis Horne, Sr. and stands 4.7m (15’6″) in height. 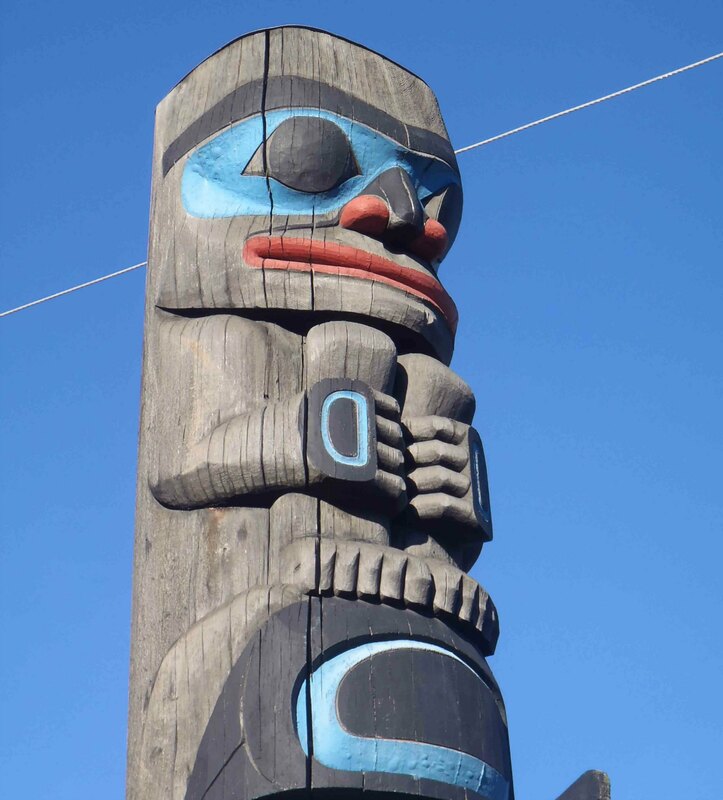 The Chief’s Pole consists of three primary figures: the Human Child (top), the Killer Whale (middle) and the Chief holding a Copper (bottom). 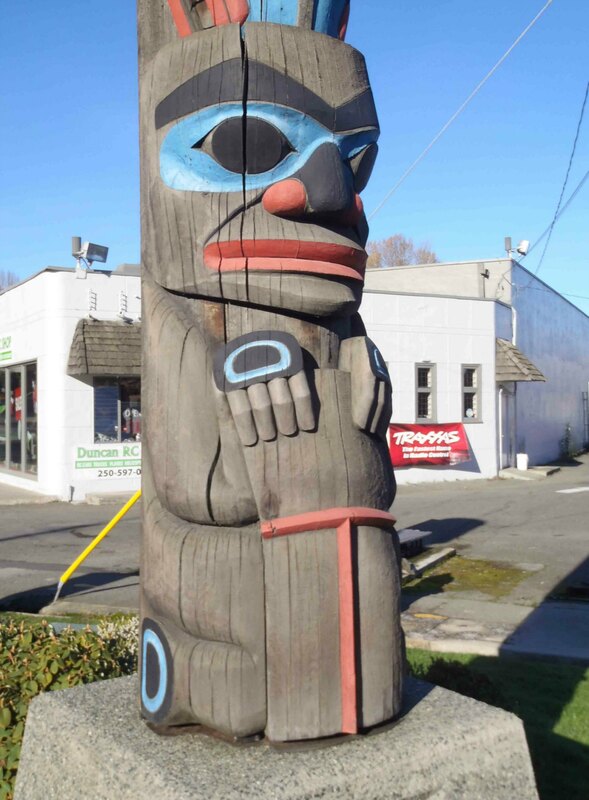 Chief’s Pole, Human Child figure, Government Street at Kenneth Street, Duncan, B.C. 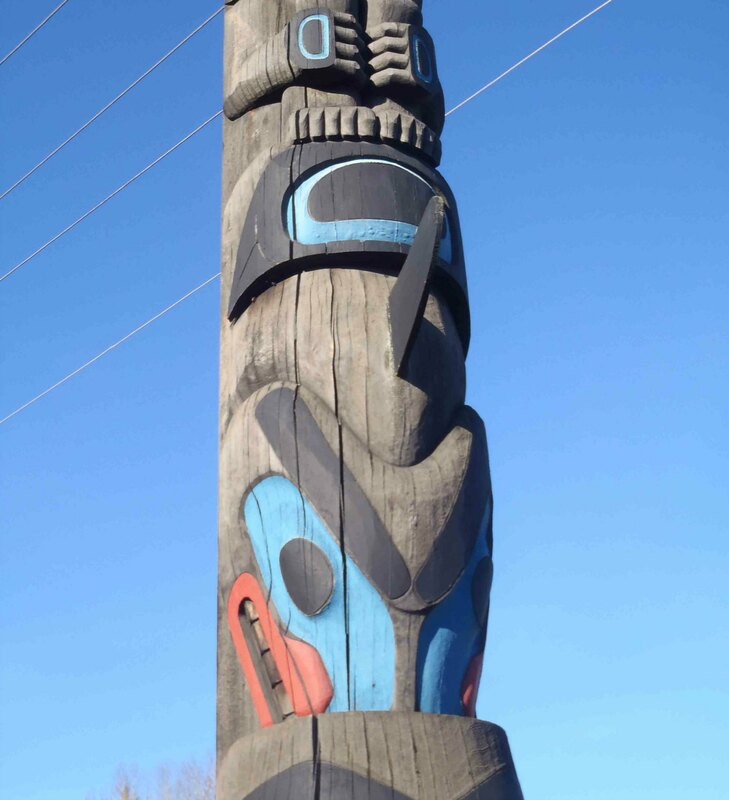 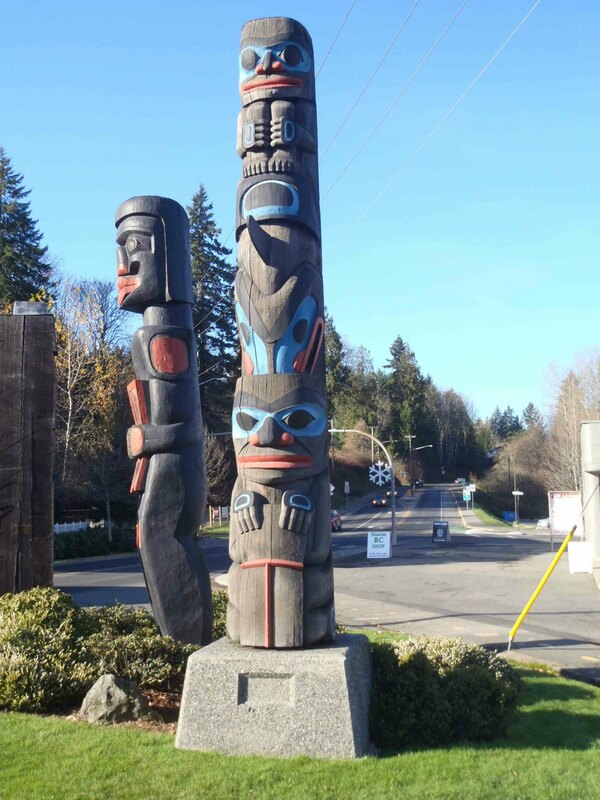 Chief’s Pole, Killer Whale figure, Government Street at Kenneth Street, Duncan, B.C. 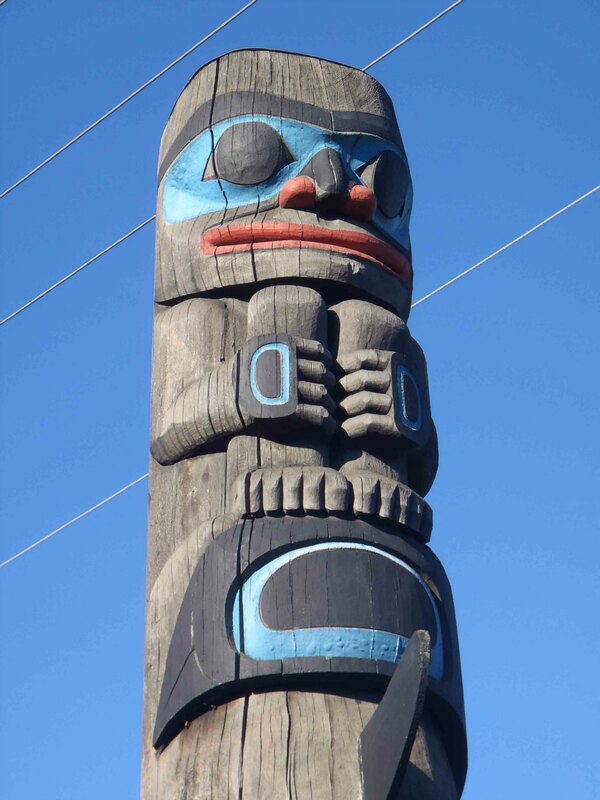 Chief’s Pole, Chief figure with Copper, Government Street at Kenneth Street, Duncan, B.C.